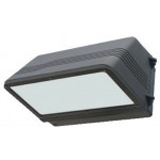 LED outdoor wall lights play a vital role in the security of commercial and industrial buildings, which is a top priority for businesses. The NaturaLED 7467 28-Watt 5000K Color Temperature LED Wall Pack, available for free shipping, emits a crisp, white-colored light ideal for long-lasting visibility. Experience years of maintenance-free use as well as the energy efficiency expected from NaturaLED wall pack fixtures. At Cors Lighting, it is our mission to make the highest-quality lighting products with the most longevity that are easily accessible for industrial, warehouse and commercial properties. Feeling overwhelmed by the wide variety of choices? 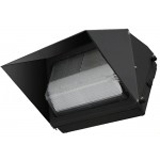 Our lighting experts assist customers at every step, from choosing a specific fixture, like our 28w LED wall packs for sale, to planning an entire layout.